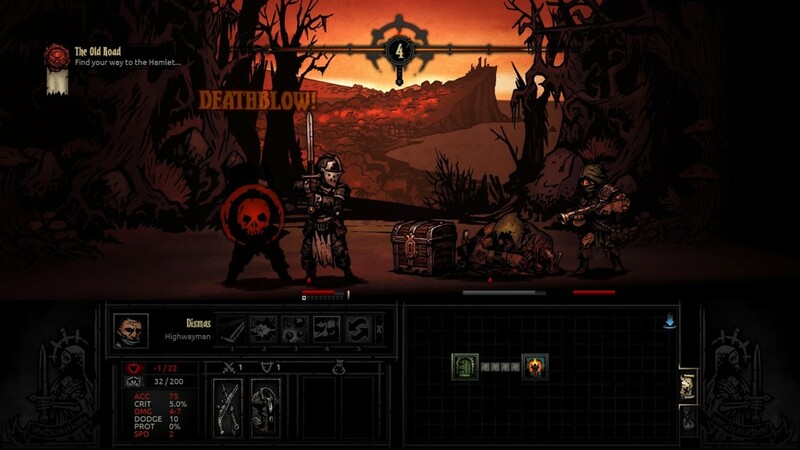 Alphas/Betas/Early Access Impressions Written By: Andrew R.
Darkest Dungeon asks you straight up, right at the beginning, “Do you have what it takes to defeat the darkest dungeon”? and we all know the answer to that question even before we start the game. Of course I have what it takes, you think to yourself as you click the new game button. Unfortunately you won’t be the one who gets to explore this cavalcade of tricks, traps and terrors. Instead you will be sending inexperienced, fragile, under-equipped mercenaries to do the job for you. As the last of your family line you are tasked with returning to your ancestral home, recruiting mercenaries to battle the evil that resides there, and restoring your family name. 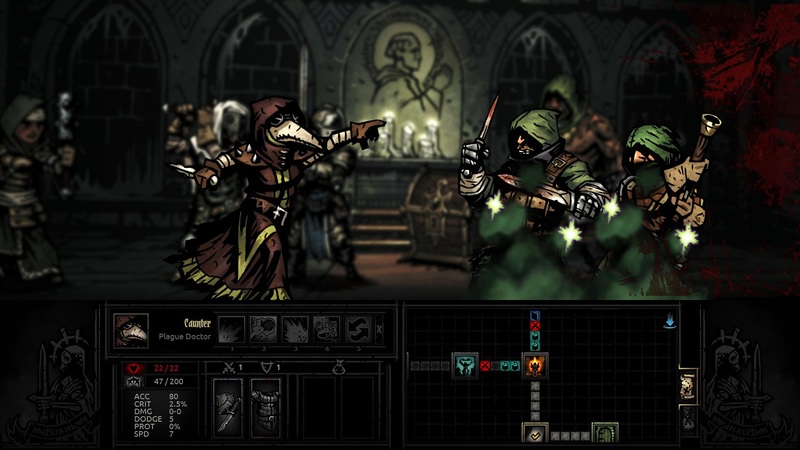 It has the look and feel of a comic book, but no, its Darkest Dungeon. The graphics and art might even make H.P. Lovecraft proud. While still in early access, enough features are in place to make this worth a look. 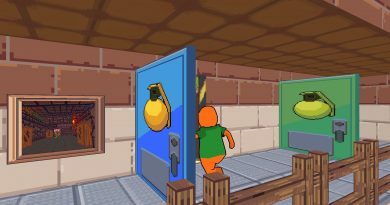 There are four different dungeons to explore, each with its own interesting art style and music. When you select one of them and choose a mission the map is randomly generated. At least one more dungeon is still in the works. 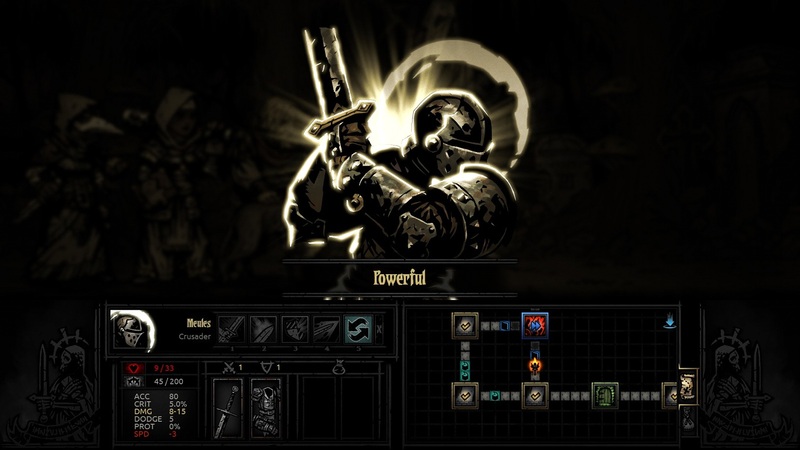 There are enemies unique to each dungeon and a few that appear in more than one. 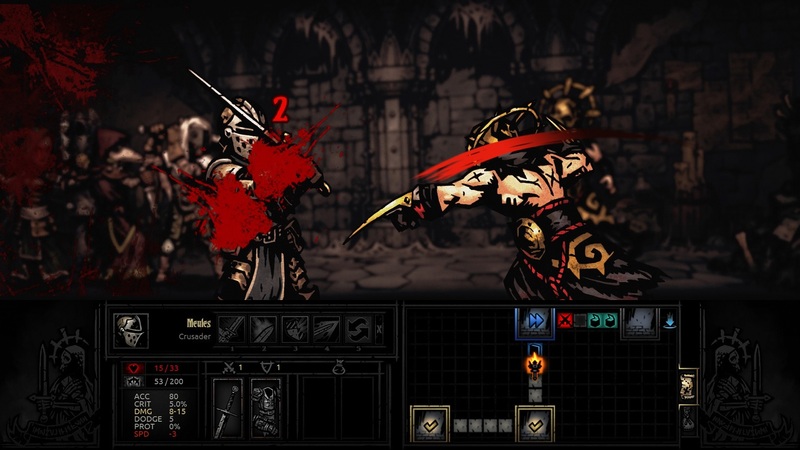 Each dungeon has different characteristics, such as enemies that will affect your mercenaries with sickness, or enemies with attacks that add poison or bleeding damage. The latest addition to the game, The Cove, includes enemies that work as a team, with tanks, healers and damage dealers working together. 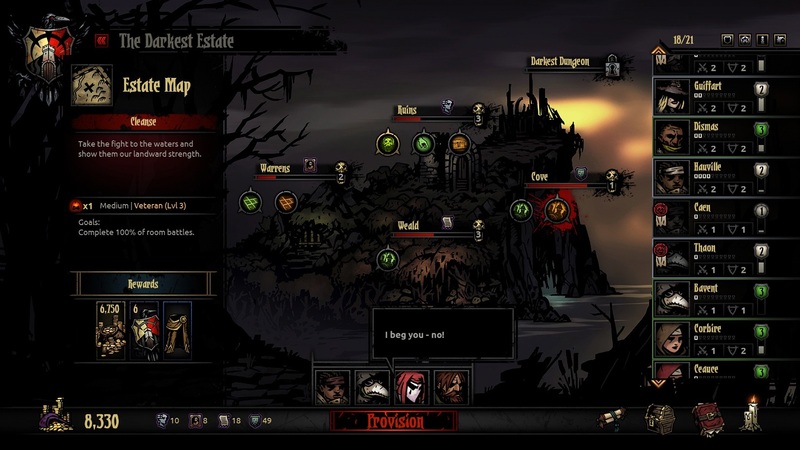 Developer Red Hook even hints that similar coordinated groups of foes might appear in other dungeons as well. Every dungeon has traps and roadblocks. You will also find things like chests, bookshelves and bags to rummage around in, just be wary of the occasional trap. 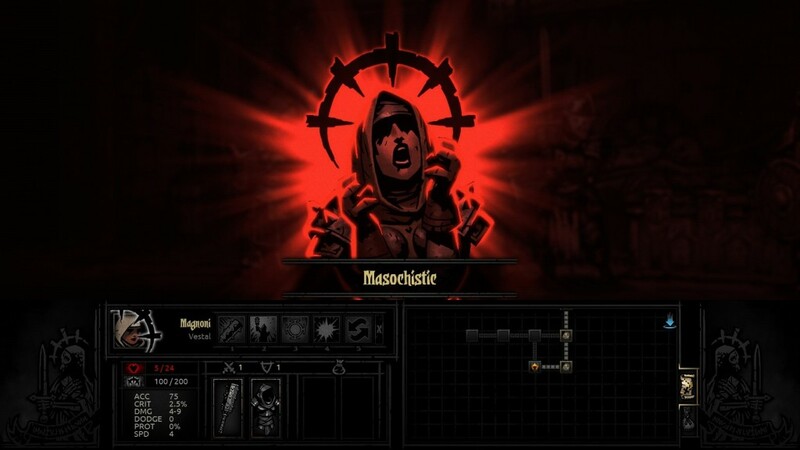 Poor Dismas, he didn’t even make it out of the tutorial mission. The corpse in front is keeping the enemy with the rifle out of range of my melee attacks. An intriguing feature of Darkest Dungeon is the ever decreasing light and its effects on your mercs. There is a light gauge that must be managed using torches that you buy or find during the mission. In bright light it is easier for your party to surprise enemies you encounter and your party receives an accuracy bonus. As the light dims you gradually lose those bonuses, and eventually your enemies receive them making it easier for them to surprise you and giving them aim bonuses. As the darkness closes in their stress meter increases. In the encroaching darkness the enemy encounters rise in difficulty. One may find its worth blundering through the dark, though, because with the harder fights come better rewards and more money. The right support character can turn the tide of a difficult battle. Now then, ready for combat? Well you might think so, and your mercs might agree, but Darkest Dungeon tells you right from the start that this will not be a cake walk. And the folks at Red Hook are determined to make absolutely sure that nobody will ever say it’s an easy game. 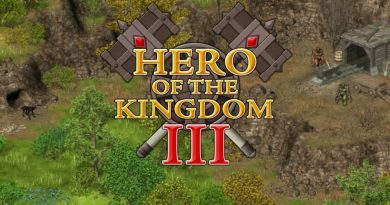 More than once I have sent my swaggering veterans into a well-traveled dungeon on a simple, low risk errand only to find myself frantically hitting the retreat button as they get overwhelmed by bad luck and ruthless enemies. The Lovecraftian graphics and art style grabbed my attention right away and never became repetitive or boring. The Final Fantasy VII style combat makes me feel right at home while the art makes me feel like I am reading a comic book, occasionally including a disembodied observation from the narrator, who applauds your victories while delighting in your failures. 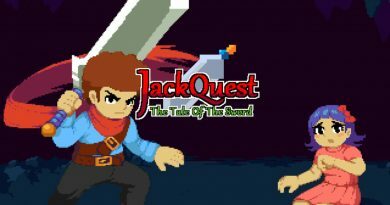 The visceral feeling of every hit, miss, dodge or critical jacks up the intensity of each and every fight, from weakling throw-away pests to juggernaut boss battles. Every turn is saved automatically so when an action has taken place, that’s it, its done. Missed an easy chance to finish off a wounded enemy? Open a trapped chest? Maybe you have a panicking adventurer who skips his turn? There’s no previous save to go back to. Thankfully there is a retreat button so you don’t have to watch your team get wiped out if they are stuck in a losing battle. Once they have escaped you can regroup and try again, sometimes find another way around, or simply hit the recall button to have the team come home. But be warned, they don’t like defeat any more than you, and their stress level will increase if you recall them. Success rate of skills and abilities seems all over the map. For example, I am filled with jubilation when my support, in a moment of desperation, stabs at an enemy and scores a massive critical. Another moment my healer heals his severely wounded ally for zero and causes him to bleed, ensuring his demise. Tried and true tactics that have worked countless times occasionally end in disaster, and some missions end in failure no matter how much preparation went into the mission. They might fail their dice roll, and suffer an affliction lasting the rest of the mission. They will carry this debuff with them until they receive stress-relief at either the tavern or abbey. With so many different classes of mercenaries there is enormous room for developing a preferred play style. The roster includes all the tanks, DPSers, healers one might want, along with several interesting hybrid types. I find a balanced team is usually best but there is plenty of room to experiment. The developers are still adding classes, each with interesting new abilities. By the way, don’t think you won’t get attached to your adventurers because you will. They usually don’t have much to say. Sometimes they speak up between missions or during fights but not always. They have just enough of a unique personality though. I find myself cheering them on when they do well, cursing them when they do poorly, and toasting their memory when they fall. And fall, they will. Looks like my Novice Jester is a little nervous about his upcoming mission. As you tackle increasingly difficult missions you will make difficult choices about how to spend your accumulated wealth. Do you upgrade the tavern so your adventurers can relax and lower their stress faster? Do you upgrade the guild office and teach them new abilities or upgrade their gear at the blacksmith? Maybe you don’t upgrade anything and spend extra gold on supplies for the next mission. You can also send your exhausted team members for a little R&R, which steadies their fragile mental state, or put them in the sanitarium to remove a disease or affliction. None of those things are cheap. Even though this is an unfinished game my playtime has surpassed that of many other games in my library. More than once I have thrown my hands up in frustrated resignation after losing my favorite merc and vowing that I am through, only to catch myself later debating tactics, team composition, or base development strategy. I will be playing this for quite some time. I just need to relax and pay a visit to the local tavern, maybe the sanitarium as well, and make sure my stress meter can handle another trip to the Darkest Dungeon.